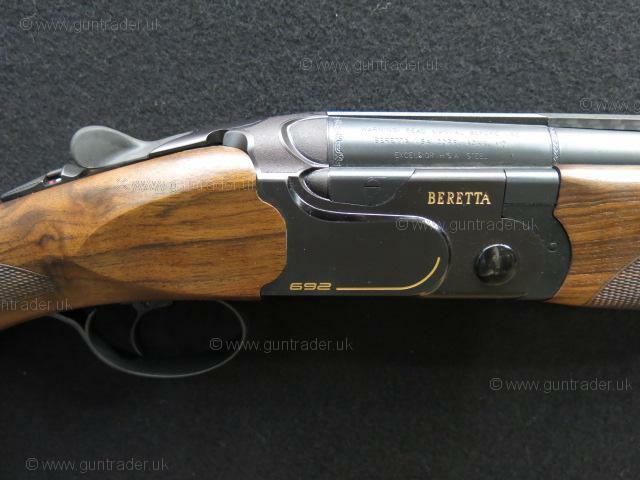 The latest edition to the Beretta sporting family, the 692 Black edition sporter! 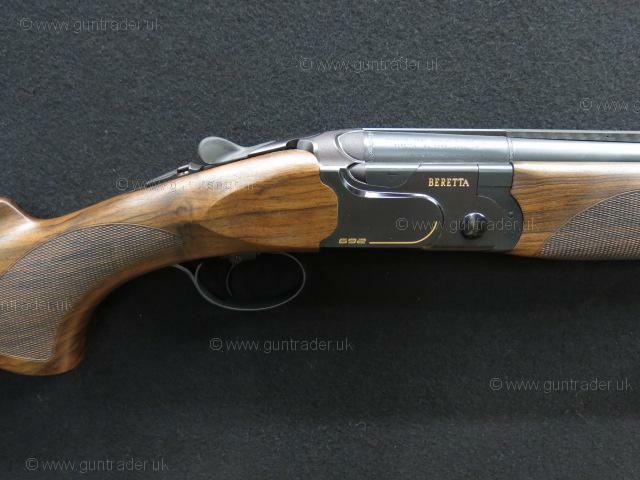 This new 12 bore from Beretta offers many of the signiture features of that from the original 692 Sporting shotgun. 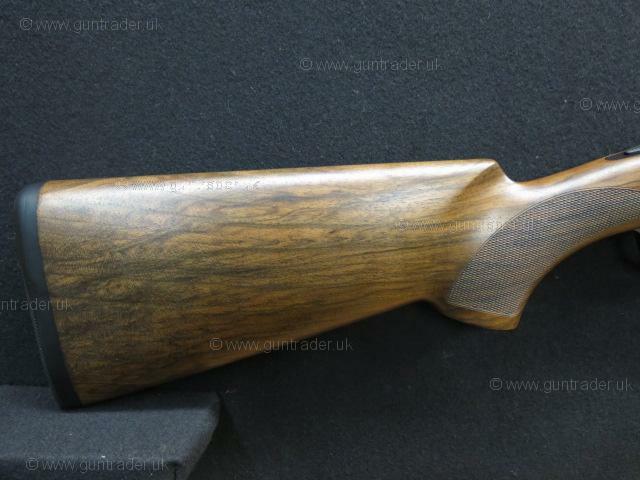 Well figured oil finished pistol grip stock fitted with a Beretta MicroCore interchangeable rubber factory heel pad, the stock incorporates the tried and tested BFast weight system allowing the shooter to control the overall balance of the gun as required. 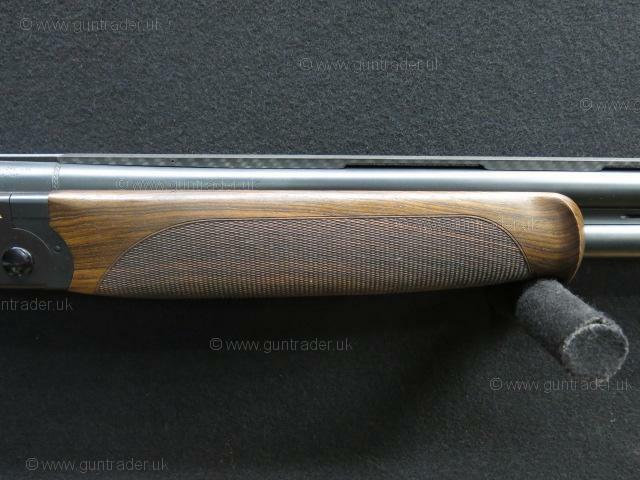 The stock is accompanied by a matching rounded self adjusting forend with plain black coloured release catch. 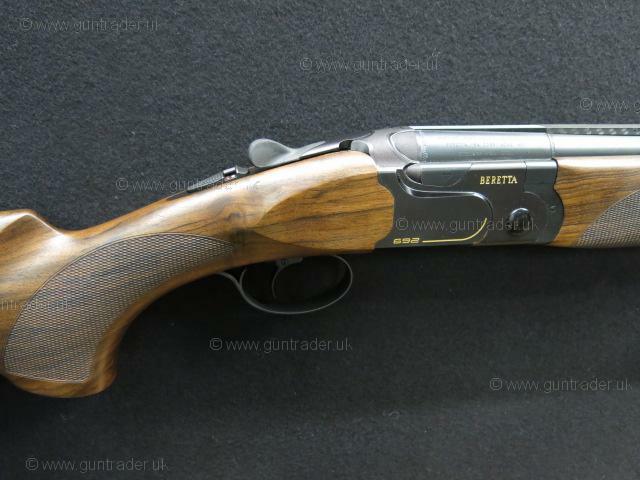 Stunning matte black finished 692 boxlock action inlayed with both the model and Beretta name in gold coloured inlay, the underside of the action has been engraved with the Beretta logo surrounded by laurel leaves. The action is set alongside a set of matte blue finished well balanced 32" Optibore HP back bored barrels with wide ventilated carbon fibre effect sporting top rib and ventilated side ribs. 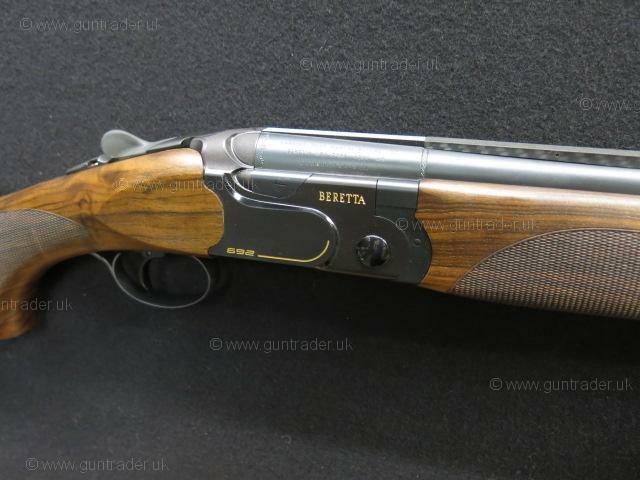 The side ribs also offer the Beretta Barrel Balance system located under the forend. Matte black finished top lever and rounded trigger guard tang with matching fully adjustable trigger blade. The gun comes complete in the maker's ABS travel case including a selection of external fitting Optima HP chokes with choke key & both weight balance system spare weights. Please call for more information or visit www.Greenfieldguns.com, part exchange welcome. RRP £4145.00 Please ask about our friendly 24hour RFD to RFD transfer service if required. Actual gun shown in all of our photographs!